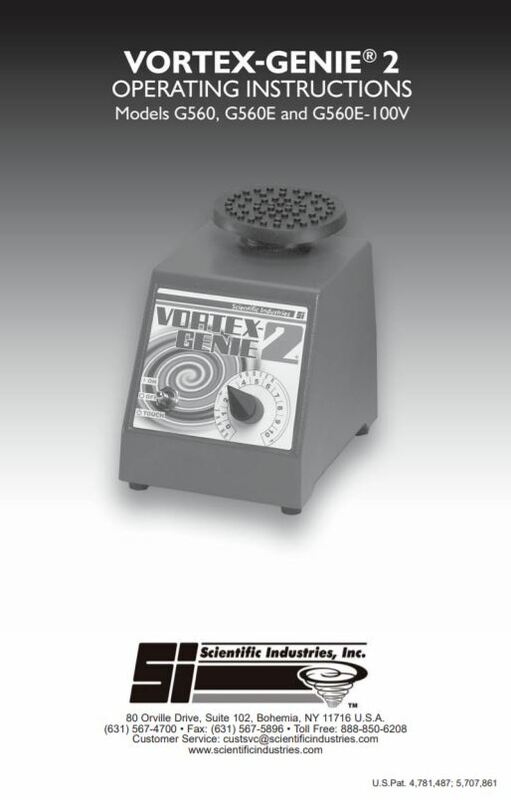 The Original Vortex Genie 2 (Pipette.com part #: 200-SI-0236) is Scientific Industries’ most popular vortex mixer. It combines durability with ease of use for straightforward and reliable operation. This sturdy vortex mixer provides a variable low-speed to high-speed function; offering you gentle to aggressive vortex mixing to suit all assay requirements. The Original Vortex Genie 2 (Pipette.com part #: 200-SI-0236) is an analog unit, providing mechanical control over speed with the iconic knob. 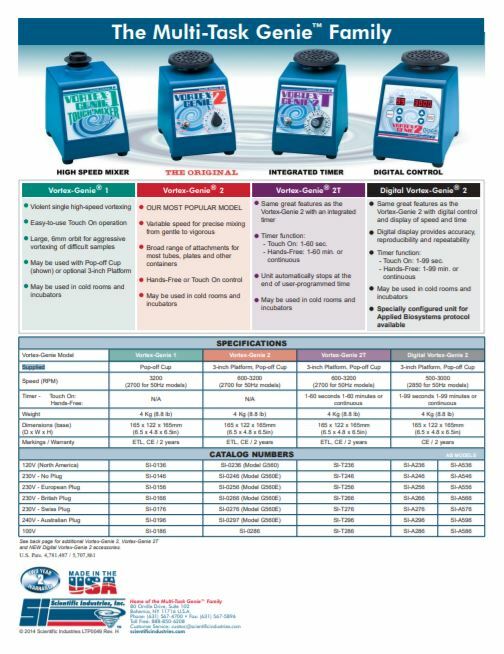 The continuous or ‘touch’ operation control gives you greater flexibility when mixing multiple samples. The variable speed ranges from 600 to 3200 rpm provides a great range of applications with the Vortex Genie 2. 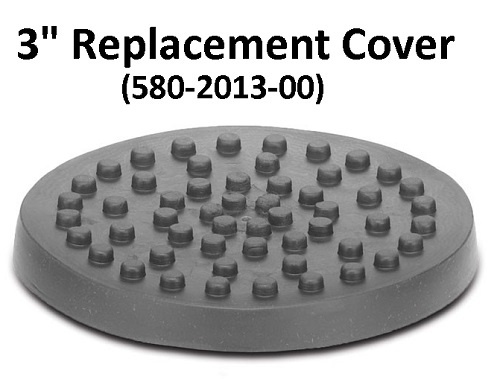 The durable cover is made of a removable thermoplastic rubber and is highly resistant to chemicals. The unit can hold multiple tubes, flasks, and beakers with the platform attachment and the pop-off cup can hold any size or shape of microtube. The vortex mixer is completely stable, with specially designed feet to prevent the vortex mixer from moving around your bench. The hands-free operation feature means that once set to this mode, this vortex mixer can operate with all accessories without any further effort, allowing scientists to spend valuable time on other tasks. The Digital Vortex Genie 2 (Pipette.com part #: 00-SI-A236) is Scientific Industries’ most programmable Vortex-Genie, with a digital display and control for adjusting speed and time. This model is ideal for documentation purposes, providing the precise and reproducible control over vortex mixing action, and displaying speeds you with the accuracy needed by even the most stringent labs and protocols. The timer function ranges from 1 to 99 seconds for “touch” mode and 1 to 99 minutes for “continuous” or hands-free mode. 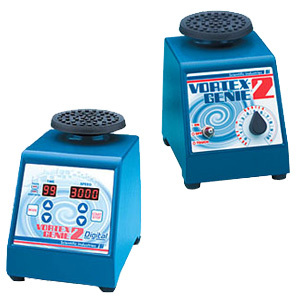 All other features of the unit are identical to the Original Vortex Genie 2. The Vortex Genie 2T (Pipette.com part #: 00-SI-T236) has the same features as the original analog model but with an added mechanical timer providing greater flexibility for the user. The timer function ranges from 1 to 60 seconds for touch mode and 1 to 60 minutes or continuous mode. Vortex Genie 2 Accessories and attachments are available to accommodate a variety of vessels. 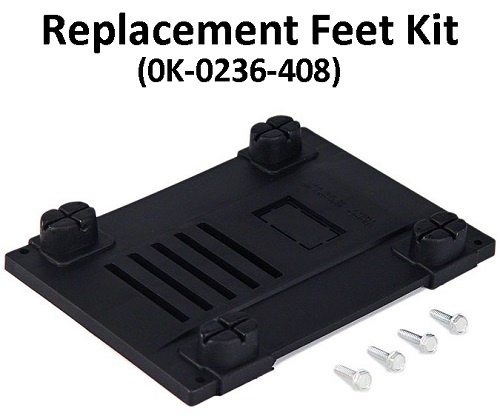 Over 30 accessories are available for this model, including tube attachments, foam inserts, and other adaptors to fit your needs. All units are equipped with a 3-inch Platform for a beaker, a flask or multiple tubes, and a Pop-off Cup for vortex mixing a single tube. These models come with a 2 years warranty. Tough metal housing combined with just enough weight provides a stable platform for all types of mixing. Allows slow-speed shaking action up to high-speed vortexing. Each attachment is designed to produce different mixing actions, allowing users to choose the correct action for each application. A 3-position power switch operates with continuous action or "Touch On" control. With the true "Hands-Free" operation of continuous action, lab operators can greatly increase lab efficiency. Ready for use with supplied pop-off cup and a 3-inch platform.